Seven Days Blogs: Yo, Hackie! : Hitchhiking Nyet! Chew Chew weekend was in full chomp when I U-turned to meet a group of five people waiting at the Main Street taxi stand on the corner of St. Paul Street. I shouldn't be making U-turns on Main Street, but I do. Bad hackie. There were three women and two men, one of whom was jumbo-sized. I lowered the passenger side window and called out, "Let's put the big guy in the front and the other four of you can jump in the back." The big guy said, "No - it's just these two young women. They're working at a girls' camp, I think it is, up in Colchester. You heard of this? Can you take them?" "Sure," I said. "I know exactly where it is." There is an exclusive girls' summer camp located in the outer reaches of Colchester. For many years I've driven the counselors and other staff members when they hit Burlington on their night's off. Most of the staff, from my experience, are young foreign women. The bulk of the counselors seem to come from England and Australia, while the rest of the staff - kitchen, cleaning and the like - are mostly from Eastern Europe and Russia. The guy asked me the price, which I quoted him. He then asked the girls if they had the money, and they said they did. Giggling, they stepped into the back seat, both of them cute, blond and petite. Chugging along, at a break in the giggles, I asked, "So, where are you girls from? What's your hometown?" The slightly taller girl said, "We are from Ukraine." "Ah-ha," said I. "Are you from Kiev?" 'No, not Kiev. But near Kiev. 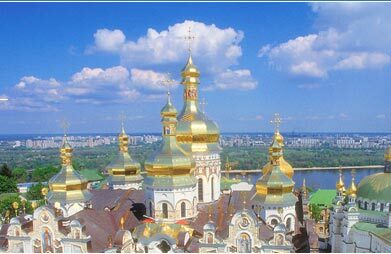 How do you know Kiev?" "To tell you the truth, that's the only city I could think of that's in Ukraine." We got on the highway en route to the Chimney Corner exit. The same girl - she seemed to be the leader of the duo - asked me, "This highway . . umm, how you say? . . is this highway busy?" I had not a clue what she was getting at. "Do you mean during the day? You can see there's not many cars on the road at night like this. I mean, this is a small state - it never gets busy like in big cities. What exactly do you mean?" More giggling, and then, "Can we get ride? Is that permitted?" Now I got it. "No, no - you can't hitchhike on the highways." My paternal instincts kicked in at the thought. In the rearview I could see they didn't understand. "You know - hitchhiking." I stuck my thumb out and energetically pantomimed the act. "Yes, yes," they said from the back, with tons more charming laughter. "Why not?" "Well, like I said, it's illegal. But, anyway, you don't want to be on the road late at night with your thumb out." "C'mon girls." I was growing frustrated at their apparent naivete. The thought arose that they were pulling my leg, but then I remembered where they came from - two strangers in a strange land. "The two of you, getting in random cars. I mean, use your imagination." "Is there bus to camp?" "No, there's no bus. Get a few of you together and split the fare - that'll be cheaper." You have to admire their pluck, I thought to myself. "Sorry, girls - no discount. It's too long a ride; I can't cut the fare." "OK," they said, and immediately went back to their talking and giggling, happy to be in America, ready for an adventure. It's around this time of year when people from Eastern Europe come in to work for a 4 month period approximately on J-1 visas, hence why one always seems to find such women in the Burlington area in summertime. Has anyone noticed the Rhino who's trying to break free(from the second floor)on Pine St.(I think its a lighting store)? It makes me laugh every time I pass it. Poor Rhino has been stuck for years. And as for those two women - I'm sure they would be a lot more safe here walking around at night then they were back home. Brass... I guess I've only been paying attentioin to that Rhino!! Maybe it was the lightbulbs they have in one of the basement windows that made me think it was a lighting store! Ha. Good to know though. Well, Erin, it's certainly not a rhinoceros store. (Because not that many people are in the market for rhinoceroses, and they'd quickly go out of business.) In fact, Conant Brass does sell a lot of lighting fixtures. My sense is they're best known for - their claim to fame, as it were - custom metal work of all kinds. Hitch hiking used to be a very popular way of getting around in Europe before cars were as prevalent as they are now. Hitch hiking is still popular and a socially excepted mode of getting from place to place - hence college grads taking a few months to backpack across europe (they aren't walking all the way). Thanks, Carl, for the international perspective. And getting back to the rhino, it appears that Conant Brass has undergone a rhinoplasty. The lifelike rhino head is gone, replaced by a Picasso-style modern rhino sculpture. It looks great. No way!!! My poor Rhino... when did this happen? I must take a walk down there tomorrow and check up on the poor fella. Haha. By the way good one - rhinoplasty. Take Three: Erin, Mr. Rhino is still there, gazing out onto Pine Street, ruling the realm. There is indeed another more impressionistic animal head as well. The new guy on the block might be a rhino himself, but I'm thinking water buffalo. Take a look and tell me . . . I was worried that the Rhino had come down, so I was happy to see it was still there. I also noticed the new guy, and I’m not really sure how I feel about him. I didn't get a good look, but I was thinking it was elephant-esque? Whatever the new guy may be, I think I’ll stick to favoring the Rhino. I wonder how the rhino feels about the new kid on the block . . . I love the short story. It's pretty funny, and there are really girls that go for hitch hiking, it's dangerous but most europeans does.